Is Christ the foundation of your family? Is God at work in the work you are doing? Unless He is, you are working in vain. If God is not at the center of all you do and in your family too, it is meaningless. You get up early and stay up late, all to get ahead in the game. 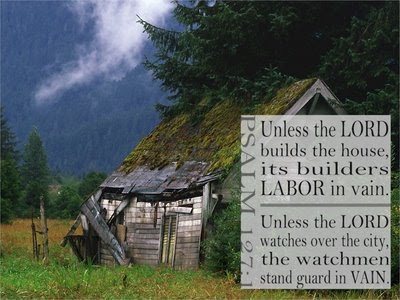 Stop working so hard against the Lord and go where He is and do what He is doing and rest in Him who loves you. Your children are a gift from the Lord, your babies a reward from Him. Your sons are like arrows who will defend, protect and take care of you. Happy is the parent who has many children.